Marble restoration service in San Diego. From the way marble shines to the way it renders a beautiful aspect, our San Diego artists will make your stone glisten again with a patented cleaning process. Cleaning marble with a quality product is an essential part of the restoration as it delivers a high-end look to the stone. with a titanium color seal. 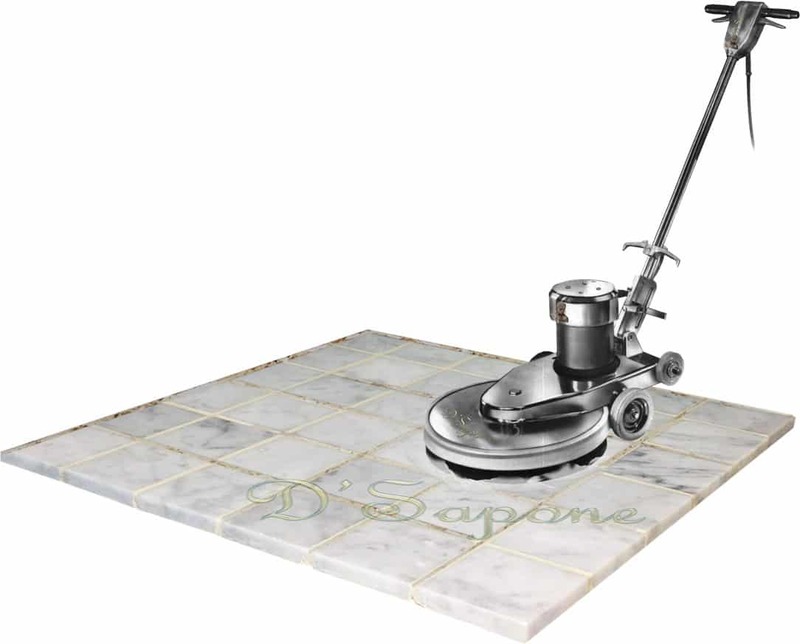 Simply cleaning the marble surface is not enough to eliminate all the grout stains. Grout is as porous as sand on the beach, absorbing all liquids and stains in a short order. Caponi® – a 2 part pigmented titanium sealer, soaking deep into the grout to lock out all the stains with a 5 year labor warranty. Our San Diego artists color match the Sentura – a two part pigmented flexible resin, to the grout color and then, they repair and blend the crack with the rest of the grout. 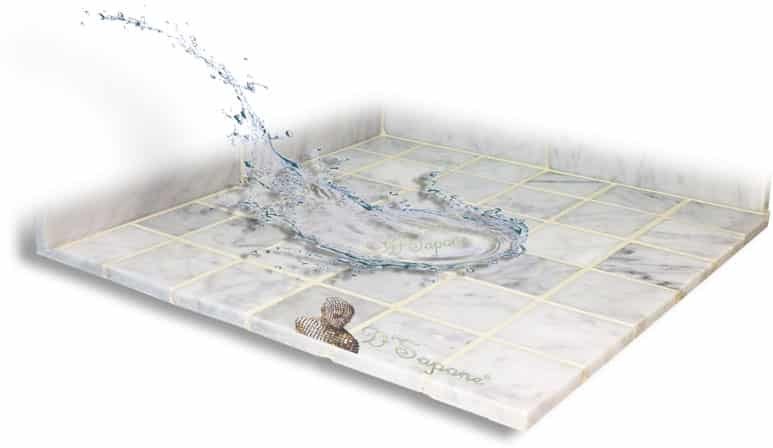 We will achieve that new and natural look for your cracked marble grout while making the surface structurally sound with our quality marble restoration service in San Diego. Movement in the substrate below marble causes cracking issue, which is nothing short of a burden. 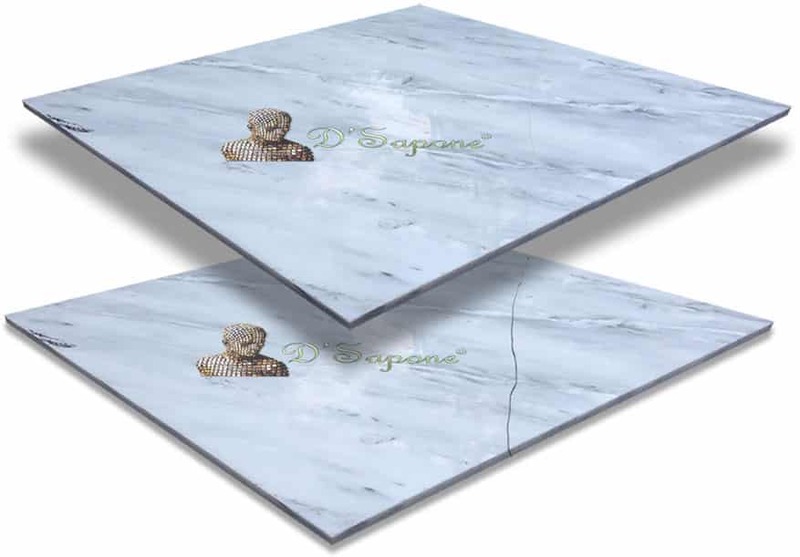 If it has happened, D'Sapone® provides the best marble restoration service in San Diego, which can make crack sealing look natural with Sentura that can be pigmented in more than 40 colors and is formulated with a 1200psi adhesion. Keeping the look of marble. Once marble has been cleaned, it should always be sealed with a powerful sealer. Repela-Bond – a natural look water based sealer waterproofs the stone and leaves it with a lush natural look with easy maintenance. Marble protection. Clear topical sealing. 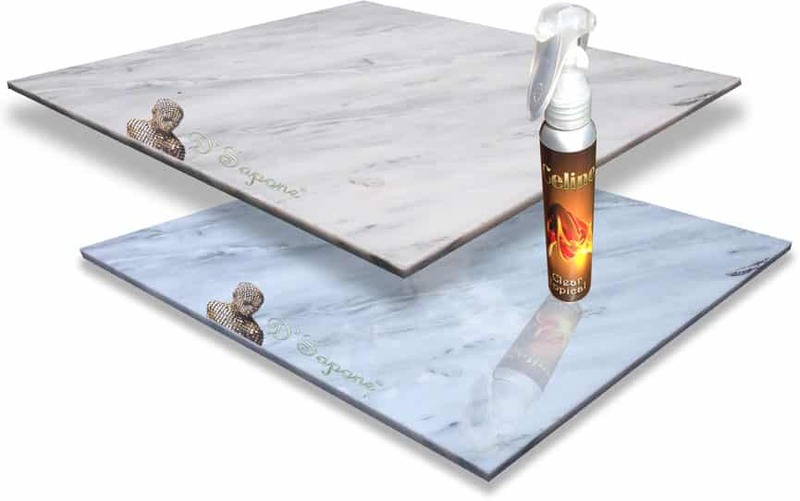 Our most powerful stone sealer is Celine –a clear resin topical solvent based sealant. It is the most durable stone sealer on the market. It pulls out all the gorgeous colors of marble while penetrating deep into the surface. Celine keeps the stone immaculate and adds a slight sheen to it. In the image shown to the left, the top tile is sealed, while the bottom is not. The issue with traditional marble polishing – stone etching. Our patented stone polishing service not only delivers an astonishing sheen to the surface, but also eliminates future etching issue for a lifetime. 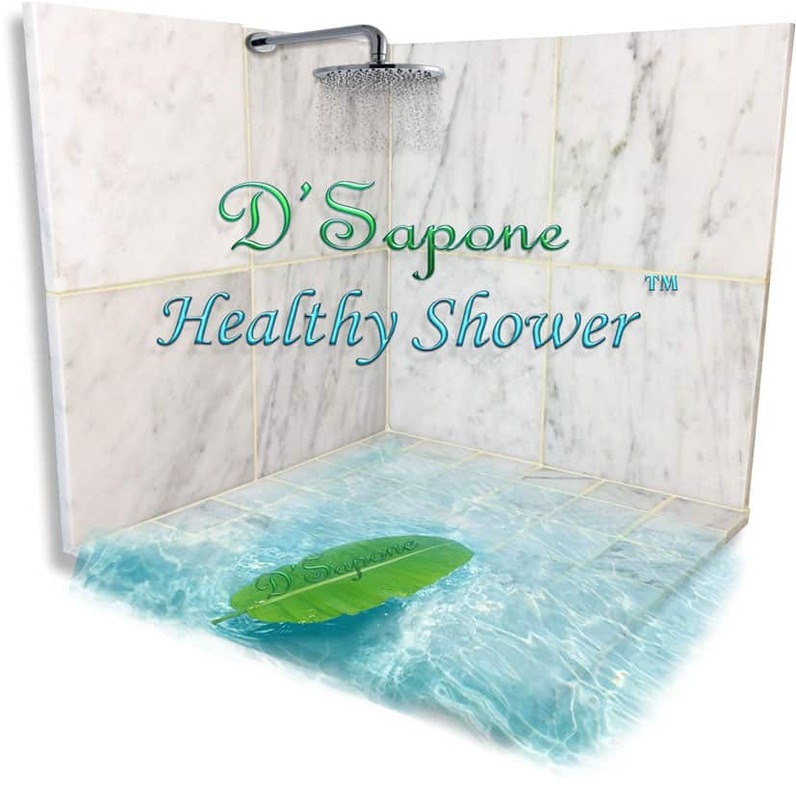 A healthy marble shower service just for you. No matter how bad your shower looks with all the stains and mold, our artists performing the marble restoration service in San Diego will make it look fresh and new. We will clean the entire surface with a penetrating cleaner, removing stains, soap scum, etching, mold and mildew at the root. We will replace all the caulk with Sentura, waterproofing all the corners. Our titanium grout sealer and natural look stone sealers prevent the surface from retaining moisture, causing mold growth. Enjoy a healthy marble shower with a 5 year labor warranty. Take your marble to that level you strive for, with our marble restoration service in San Diego. Fill out our online estimate form and upload images of the areas need to be restored. Your estimate will be assigned to a stone artist, who will take care of the rest.